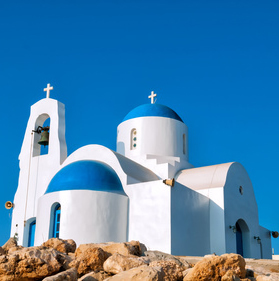 Located in the eastern Mediterranean this historic island has at some point in its 10,000 year history been the victim of invasion from most of its neighbours. This colourful history has left archeological sites throughout the island and goes in some way to explain the diverse culture enjoyed to this day. Cyprus is one of our favorite holiday destinations, the island offers it's visitors; year round sunshine with clear blue skies, superb beaches, great cuisine, historical sites, a marvellous culture and a genuine warm welcome from the island's inhabitants. 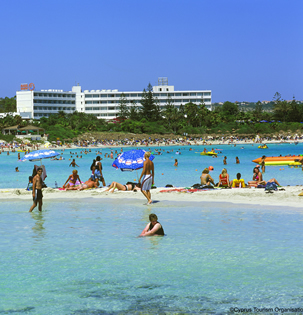 Cyprus holidays can range from modern apartments to 5 star hotels providing something for everyone. Holidays to Cyprus provide a very diverse choice, from snowy peaks to sun drenched beaches, the island is home to quaint hidden villages as well as lively modern resorts. Nowadays Cyprus is split into the Turkish north and the Greek-Cypriot south. The popular Greek Cypriot south is serviced by two main airports located in Larnaca and Paphos with many tourists flocking to the popular resorts of Ayia Napa, Larnaca, Paphos and Protaras. Formerly a small fishing village, Cypriot holidays can be very lively, Ayia Napa has become the island's and one of the Mediterraneans busiest resorts. Whether you are looking for a cheap last minute holiday, an all inclusive family hotel or a luxury 4 or 5 star property, Cyprus has a wide variety of holiday accommodation to suit everyone. The holiday destination of Paphos has something for everyone; it has renowned resorts, lovely beaches, and a real history. 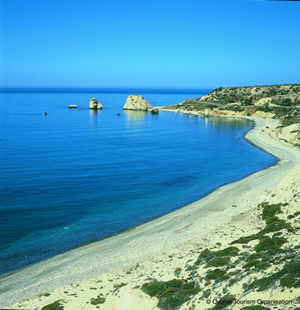 The resort's facilities and nearby airport make Paphos (Pafos) a great choice for your holiday to Cyprus. 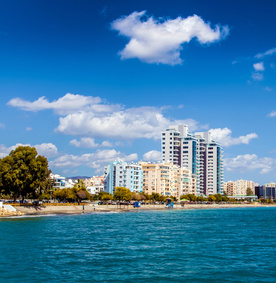 Limassol is the largest of the Cypriot holiday resorts and is located around one and half hours by coach from Paphos airport and around one hour from Larnaca airport. The resort itself has good beaches, a lively nightlife, water parks, archaeological sites, excellent museums and a picturesque harbour and marina all set with a back drop of the beautiful Troodos Mountains. 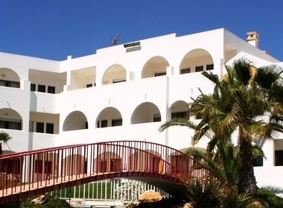 The resort has a wealth of accommodation ranging from modest room only to top quality hotels with options for bed and breakfast through to all inclusive board arrangements. Protaras is located on the south eastern tip of the island of Cyprus and a convenient one hour coach transfer from Larnaca airport. Protaras is the tourist resort of the Paralimni region, and like its lively neighbour Ayia Napa benefits from wonderful weather and lovely beaches. If you can take time away from the beach or your poolside sunbed, Cyprus provides a wealth of excursions and visitor attractions. Our clients have told us their favorite attractions close to Paphos are the Tombs of the Kings, an amazing archaeological site, the Aphrodite rock, another ancient site and for a laugh a minute excursion George's Fun Bus gets a big thumbs up! For visitors in Ayia Napa, the Black Pearl boat trip is a winner with all the family, as is the Waterworld Park. Scuba diving experts and beginners will both enjoy exploring the underwater world with Olympian Divers Ltd.
Limassol provides a Castle to explore as well as the Kourion (curium) archaeological site. Visitors also reported a trip to the lovely village of Omodos is also highly recommended. Visitors to Protaras enjoyed the Raptor boat safari and the evening show the Magic Dancing Waters Show. Cyprus boasts excellent sports facilities ranging from a wide choice of water sports, fishing, golf, horse riding and much much more.